Did you know that there is a key element to help you find out which colour of the makeup suits you best? Before you apply the pink shade of lipstick, it is good to find out if you have a cool or warm skin tone type. 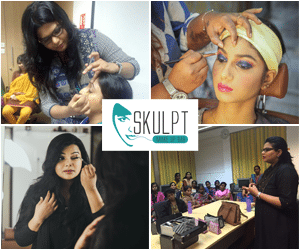 Professionals and industry experts in academies and schools start off by teaching you about the basics of your skin. You will learn that there are several skin tones like tan, dark brown or rosy pink. To determine your skin colour, hold a piece of blank paper close to your face and see the mirror. The primary colour that you see is your skin tone. Stylists also suggest that you wear a bright coloured top and then try a light-coloured shirt. If the cream or light-coloured top makes you look bright, you have a warm skin tone. A cool skin tone can be paired with blue foundation colour or a pink blush. For eye shadows, the colour of your outfit and the hair colour plays a crucial part in determining the right shade of makeup for you. How do you choose the right outfit colour, so everything looks perfect? For dark complexioned skin- If you have a dusky face, go for dresses in shades of black and gray shades. It is best to avoid brown and orange shades to create a dramatic look. Fair-skinned: Choose a dark shade of colour for your outfit. This includes red, golden and the popular black. Pale skinned-coordinate your makeup with colours like peach and cream. The right foundation for your face can go a long way in highlighting your beauty and concealing your blemishes. 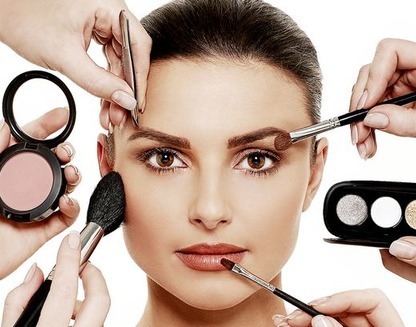 If choosing the right cosmetic is a challenge for you, take help from these tips. Pick a natural shade- Always pick a foundation colour that matches the tone of your skin. Never try to change your skin colour by applying a different shade of cream or makeup. You can opt for bleaching treatment or choose to get a tan from the nearest salon. Bronzers & Concealers – Several foundation creams provide a tanned effect on your skin. Take a wide brush and dab some bronzer on areas like your forehead, nose and use them to add a dewy look to your complexion. Lipstick– To avoid running the risk of filling your cupboard with a rainbow of lipstick colours, choose a shade that is one or two tints darker than your lip colour. Fair-skinned ladies can choose nudes in the pink and coral shade. If you have dark skin tone, chocolate, and the red colour is best. Eye shadow: For close-set peepers, start working from the inner corner to the centre of the eyelid. Apply another coat from here working your way to the outer corners. This gives an illusion of bold and bright eyes. If you wear eye glasses, dress up your eyelashes with mascara and accentuate your eyebrows. Take care of your skin by regularly exfoliating, cleansing and moisturising for a youthful look. The makeup will follow suit.